Introducing West of East, featuring the music of Michele Wortman's project Sunchannel with video produced by Guy Aitchison and Michele Wortman. This electro-psybient journey is a trip through sight and sound, featuring music from Sunchannel's latest release, Current, as well as two bonus unreleased tracks. 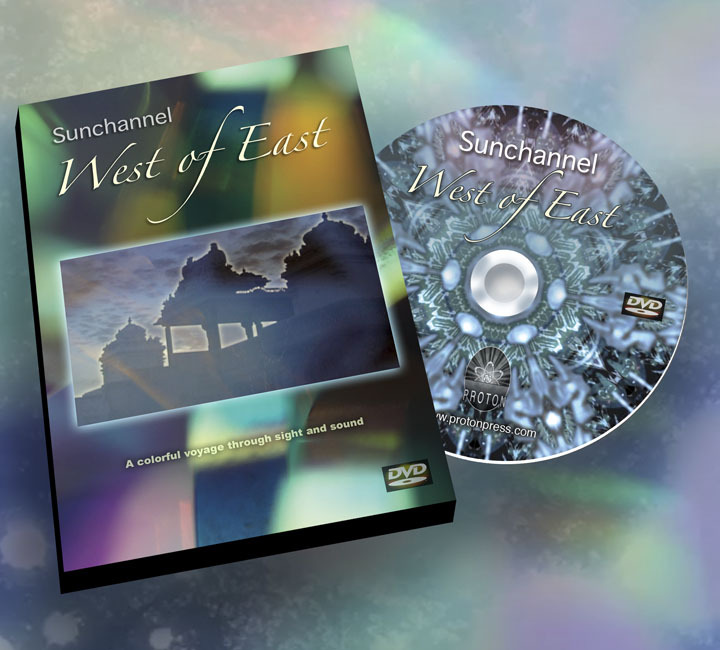 If you are a fan of electronic music and trippy visuals this is one DVD not to pass up. Also makes a great addition to your tattoo studio DVD collection- a perfect distraction in the waiting room or during those long sessions. This is multimedia art at its finest, produced from within the tattoo community.